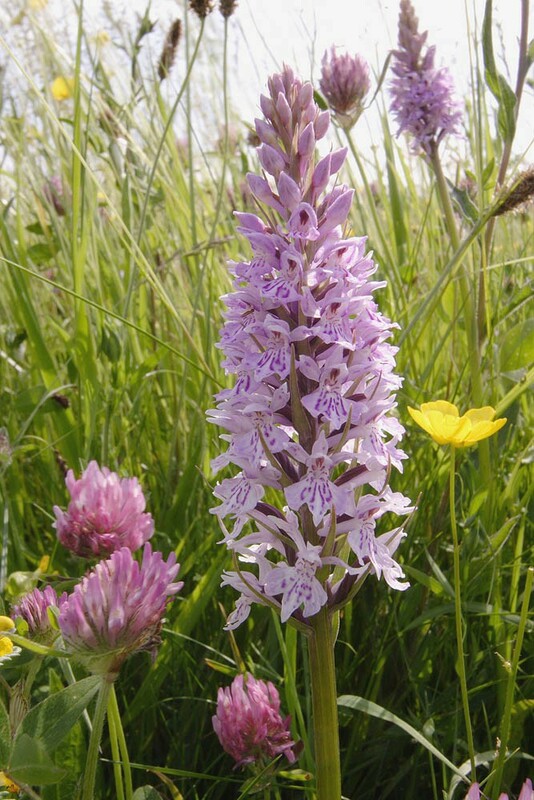 Common spotted-orchid is a short to medium height perennial of calcareous to neutral soils found in a broad range of habitats including chalk grassland, meadows, scrub, woodland, marshes and fens, dune-slacks, and even mildly acidic heaths. 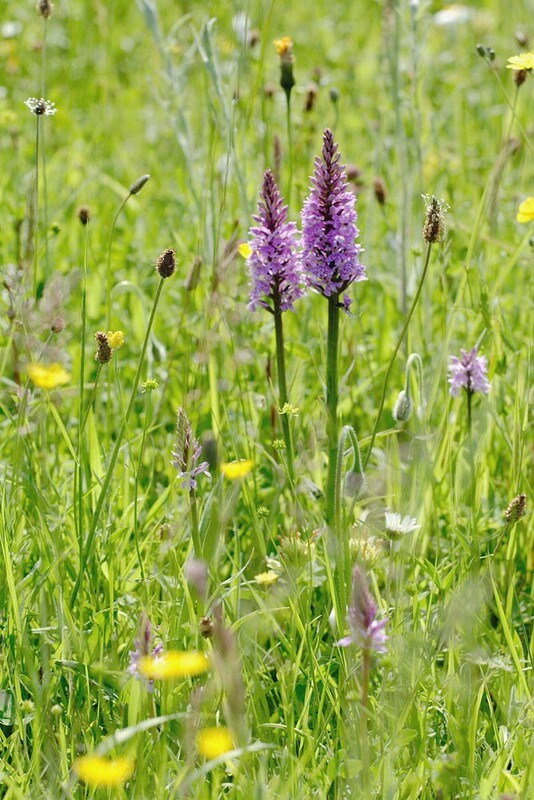 Although often found in relatively unmanaged habitats it seems to do particularly well following disturbance, which explains why it can sometimes be found in high numbers on artificial habitats such as waste ground, quarries and railway embankments. Seed is probably best sown in the autumn. 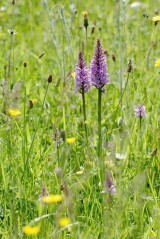 We have had success both sowing in to bare patches in existing meadows and by adding it to a seed mix when creating a new meadow. In these trials the first leaves were seen in year two and the first flowers appeared in the year after, with the number of flowering spikes increasing for the next three years. Full details of raising plants from seed can be found by joining the Hardy Orchid Society or visiting their web site. 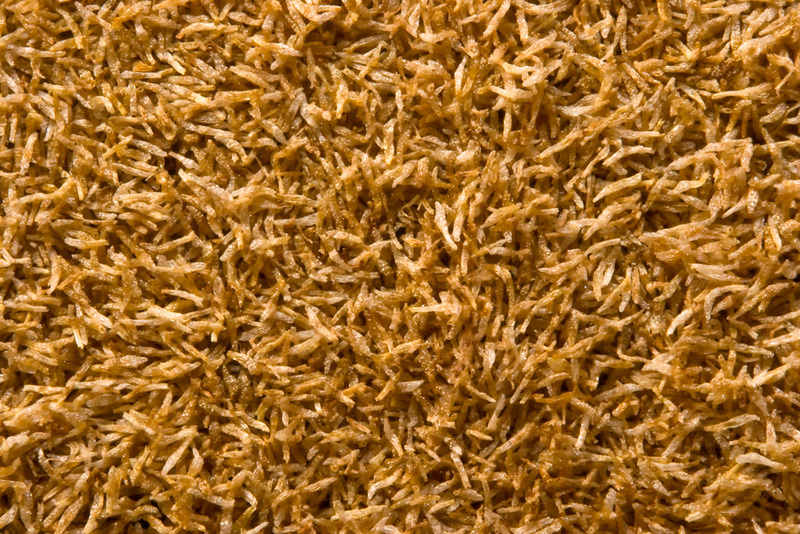 You can order any quantity of this species from 0.1g up to 10g. Please contact us if you require more.